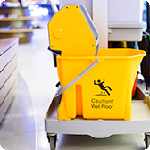 Your customers have high expectations for cleanliness in your store, and you must have that same level of expectation for your staff. 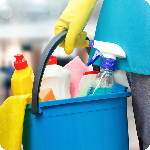 Not only does a clean store look welcoming to customers, it also creates a safe environment where customers feel confident in buying food and drinks.These modules are relevant to employees of all levels, from new hires to experienced staffers. Methods to keep the restroom clean and customers happy. 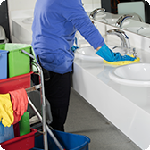 Eliminate safety hazards by frequent sweeping and mopping.